There is always the right time to take action, especially when it’s a big one. And among the big decisions that you will do in your life is when you are planning to purchase a house or a property as we’re talking about a lot of money, time and effort here. Now, if you’re interested in buying real estate in White Rock, there’s a great possibility that you are looking for a White Rock realtor that can help you out. 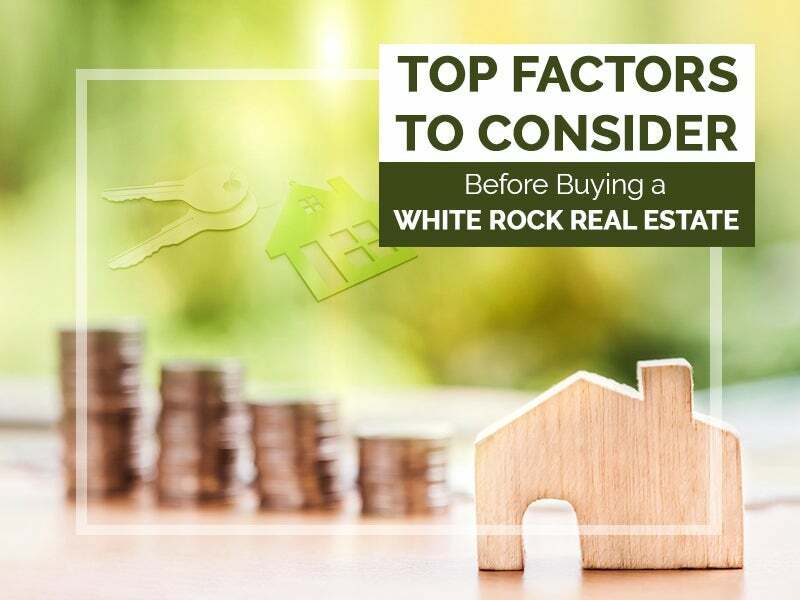 But before everything else, it would be good to have some idea about the important factors to consider if you are planning to buy in White Rock or even anywhere else. When you have money in the bank or you are earning a nice salary every month, it is quite easy to get excited to purchase a property. Well, that’s a natural thing to feel. Who does not want to buy a property when you have money? But the thing here is, you have to ask yourself, how stable is your income? Is there a guarantee that your income will remain the same or even increase over the next months and years? If you’re not a hundred percent sure of your future income situation, then a White Rock realtor might suggest you that picking up a mortgage isn’t your best option at the moment, unless you’ve built up your savings a bit more. If you think that picking up a mortgage is your only way to be able to purchase a White Rock real estate, then you have to make sure that your credit score is where you want it to be before you even apply for one. Why? Because it will determine the interest rate you’ll get on your mortgage once approved. Keep in mind that a few points up or down on your interest rate can make a big difference over the lifespan of your mortgage. If you’re not yet confident of your credit score, do not worry as there are plenty of proven ways to do in order to raise your credit score. Realtors in White Rock Homes would definitely want to help you out. Are you buying a property for yourself or for your family? Being single and being in a relationship is often being taken for granted when it comes to buying a property. Another thing is your job at the moment. Will your company transfer you to somewhere near or are you going to visit your future purchase only when you have the time? Before everything else, think if buying a piece of real estate in White Rock will fit your life situation. Do you have certain goals when you decide to buy a property in White Rock? Buyers have different goals and plans. Maybe you only want a shelter you can call your own. It can also be that you want to be a part of a beautiful and booming town. It can be work-related. Before you tie up your cash in a physical asset, it is important to think of your goals before you buy in order to avoid stress in the future. These factors might be plain and simple as they sound but they are the major players in your investment. Especially if the location in your mind is White Rock, you need every help you can get as this place is one of the hottest real estate market today, given its beautiful location and booming industry. Fortunately, there are plenty of trusted White Rock realtors that can guide you every step of the way. If you feel that you need assistance, please feel free to contact us by clicking here.